Melissa del Bosque is a Lannan reporting fellow with Type Investigations. She has written about the U.S.-Mexico border since 1998 for various media outlets, including the Guardian, and Time. Her work has also been featured on Democracy Now!, PBS, MSNBC, BBC, and NPR. She has reported on topics including border militarization, economic inequality, the plight of unaccompanied migrant children in Mexico, and asylum seekers in the United States. 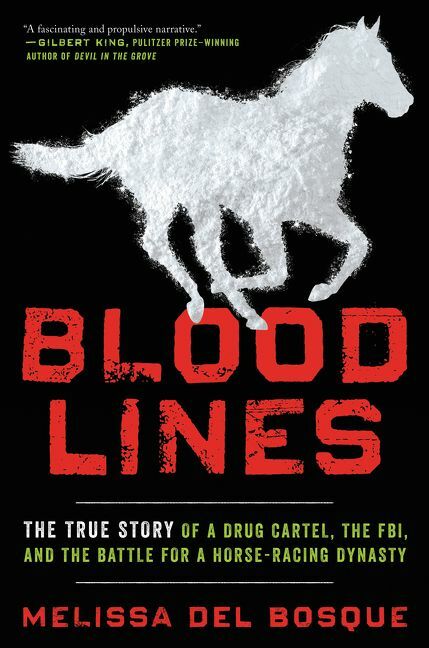 She is also the author of Bloodlines: The True Story of a Drug Cartel, the FBI and the Battle for a Horse-Racing Dynasty (Ecco). In 2016, del Bosque won the Hillman Prize for her investigative feature “Death on Sevenmile Road” about the militarization of the U.S.-Mexico border. In 2015 del Bosque’s four-part series with the Guardian on migrant deaths in South Texas won an Emmy and a National Magazine Award. Her 2012 investigative feature about massacres in the Juarez Valley, Mexico, was a National Magazine Award finalist and won awards from both the Association of Alternative News Media and the Pan American Health Organization. She has also been honored with the Casey Medal for Meritorious Journalism from the Journalism Center on Children and Families at the University of Maryland. While residents and officials are concerned about ignoring the lessons from Nogales, the federal government is forging ahead with its plans to start construction in September of this year. Melissa del Bosque on WNYC’s The Takeaway. The history of an outpost on the Underground Railroad could be lost. By Melissa del Bosque in the Intercept. How to run drugs, smuggle migrants, and get away with it at America’s biggest law enforcement agency. To see how the Koch brothers’ free-market industry utopia operates, look no further than Corpus Christi, Texas, where the billionaires own two oil refineries. Who’s killing the people of the Juarez Valley? Hint: It’s not just the drug cartels. The riveting and suspenseful account of two young FBI agents in a pursuit of a drug cartel’s most fearsome leader, Miguel Treviño.